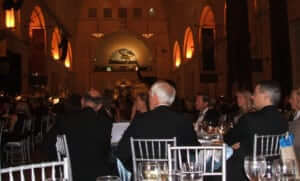 Last week I was fortunate enough to attend Association Week’s ForumÂ Honors Gala at Field Museum. The big happening was by far the silent auction. Our contribution this year was to apply our experience and knowledge to help an organization deliver more value to members through a website strategy and usability review. We are granting the winner a usability and search engine optimization analysis of their organization’s website. The lucky winner for all this was Renee Schleicher @ The American Academy of Medical Administrators. We look forward to the opportunity of working with Renee and the AAMA to provide them with actionable and tangible suggestions to greatly improve their website.